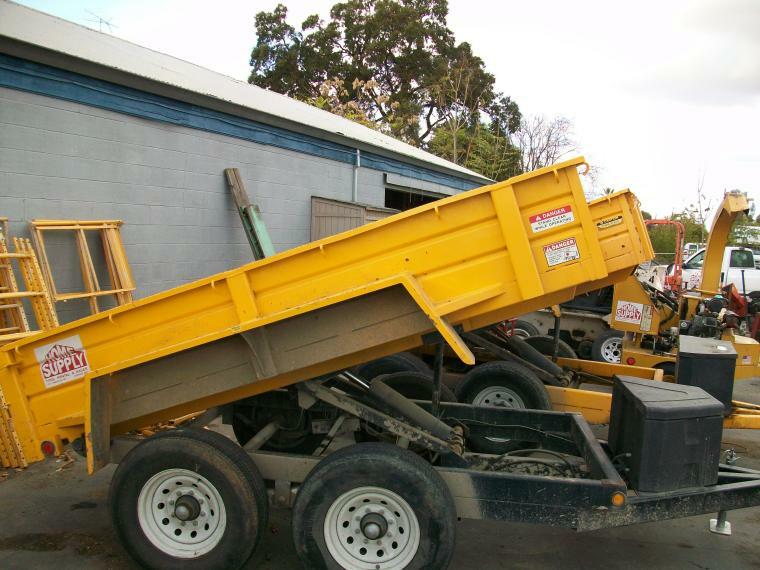 for anything from hauling furniture to hauling concrete. 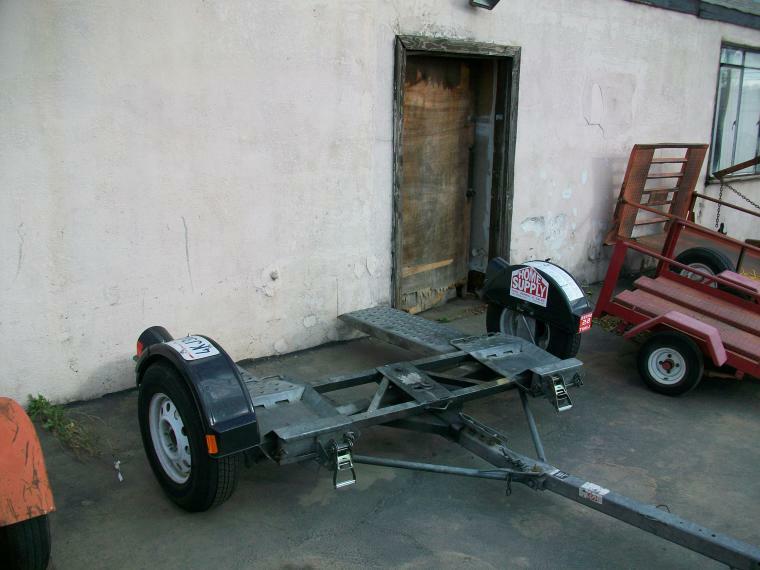 It is important that you get the right trailer for your job. 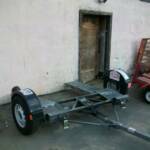 If you are hauling furniture or trash or anything that is under 1500 pounds a single axle trailer without brakes will do the job. 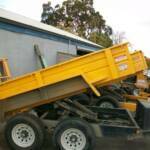 If you are hauling heavy loads, such as: dirt, concrete, gravel, ect. 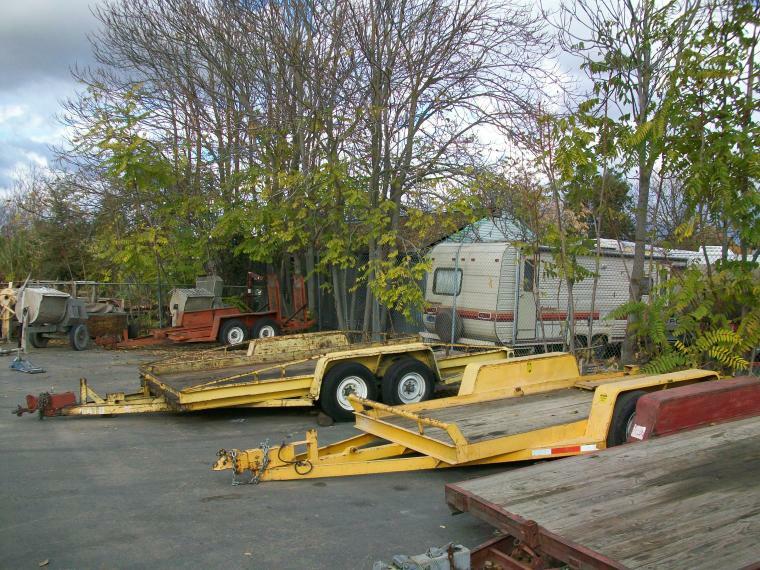 you will need a 2-axle trailer with brakes. 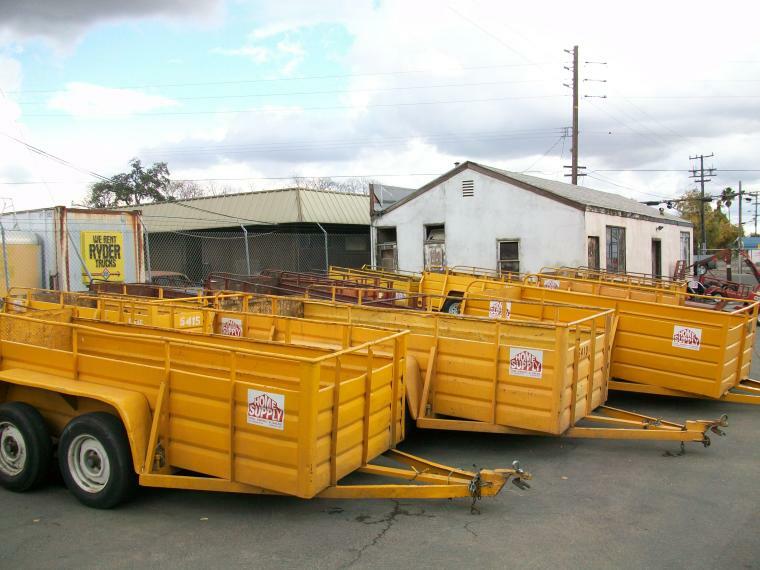 We carry both of these types of trailers. 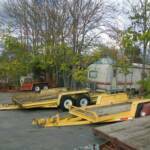 We also carry flatbed trailers and car dollies for hauling cars or light equipment. 1. Never overload a trailer. 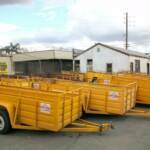 It can be dangerous, and can cause damage to the trailer. 2. Always load 60 percent of the weight towards the front of trailer. A trailer with to much weight in the back can whip out of control. Tie down chains $3.00 ea.